Scientists hope the samples will reveal whether or not gravity affects the motility of sperm – ultimately deciding whether or not reproduction can occur in space. NASAThe Micro-11 sperm samples, being prepared for launch at NASA’s Kennedy Space Center in Florida. NASA is going back to basics with their newest space mission — back to basic health class that is. 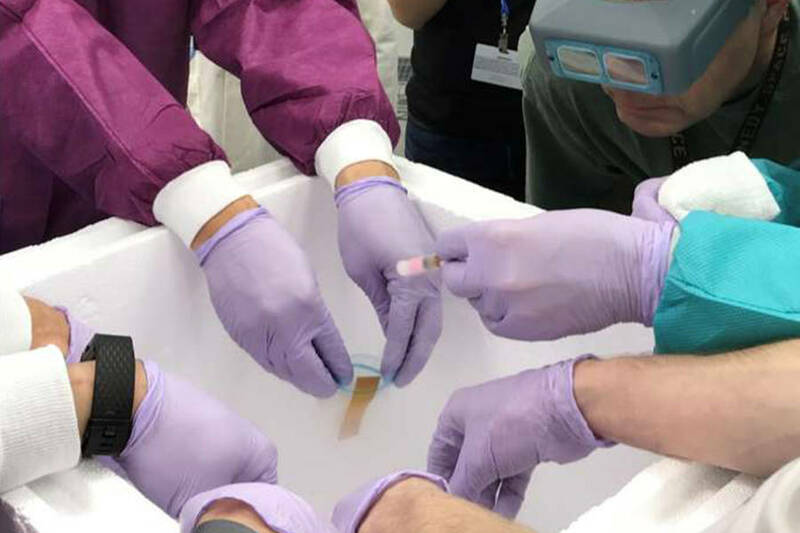 In their newest endeavor, known as Micro-11, NASA scientists are hoping to learn just what happens when reproduction is attempted in space. As such, they’ve neatly packaged samples of frozen bull and human sperm on SpaceX’s Dragon cargo craft and sent them up to the International Space Station. The goal of the first part of the experiment will be to see what happens to sperm in a zero or microgravity situation. For fertilization of an egg to be successful, sperm goes through two reactions. The first, known as phosphorylation, is what causes the tails of sperm to move and propel the sperm forward. In the second reaction, the sperm speeds up, and turns its cell membrane into a more fluid-like consistency, to fuse with the egg. Previously, fertilization experiments performed on sea urchin and bull sperm suggested that microgravity effects both reactions. The first occurs faster, while the second slows down, and occasionally doesn’t occur at all. If the second reaction is delayed, fertilization could not occur. Human sperm, however, differs in shape and motion, so the researchers are anxious to see if gravity effects it differently as well. Once the SpaceX Dragon cargo craft reaches the ISS, the researchers there will defrost the sperm, and add chemical mixtures that trigger the activation of the sperm, so they move and prepare for fusing as if an egg was present. In addition to scientist observation, videos will be taken that will show exactly how the sperm move in microgravity environments. After the videos are recorded, the samples will be preserved and sent back to Earth, where they will be analyzed. 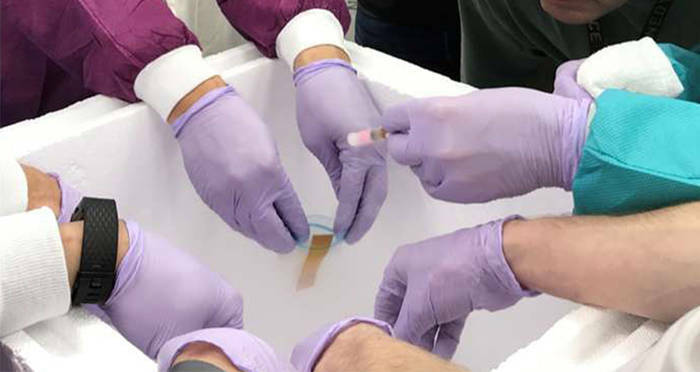 Analytics will show whether or not the sperm completed all of the necessary steps to allow for fertilization, and will help highlight differences between samples from earth and samples from space. Next, check out the story of Laika, the first animal to orbit the Earth. Then, read about Saturn’s largest moon, which looks a lot like Earth.